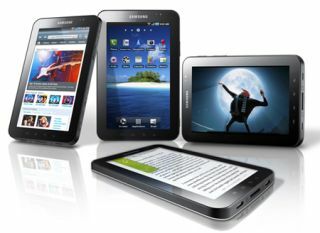 UPDATE: Samsung hits back after Apple files lawsuit claiming it copied iPhone and iPad | What Hi-Fi? Samsung has retaliated in its legal battle with Apple, the South Korean electronics giant counter-suing Apple for alleged infringment of ten patents covering areas such as data transmission and wireless technology. Earlier this week Apple file a lawsuit against Samsung claiming the latter had copied designs of its iPhone and iPad (see original story below). The legal wrangle comes just a few days before Samsung launches the new version of its Galaxy smartphone, the Galaxy S II, seen as a rival to the iPhone. Apple has filed a lawsuit claiming Samsung has copied its "technology, user interface and innovative style" with its mobile phones and Galaxy Tab. Samsung has already responded by saying it would take counter-action, despite Apple being the Korean company's second-largest client (for semiconductors and display panels) in 2010. The statement claimed Samsung had violated various Apple patents and trademarks. "Rather than innovate and develop its own technology... [Samsung] chose to copy Apple's technology, user interface and innovative style in these infringing products." Apple is no stranger to lawsuits, having been invoved in disputes with companies such as Amazon, HTC, Microsoft and Motorola, amongst others.